Receive discount at Oakley stores in the United States. It is possible to save money on Apparel & Accessories. 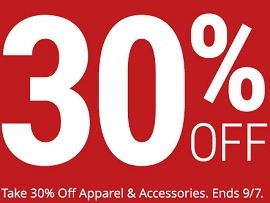 Receive 30% discount on selected styles. Source of the information is Oakley. More information about the promotion available at stores. Offer ends 09/07/2015.